On Saturday I attended the Michigan Writing Workshop outside of Detroit. I’m here to share my experience with you today. The event was peopled with agents and Chuck Sambuchino, author and former editor for Writer’s Digest. It was an opportunity to learn about craft and publishing and to pitch to agents. Needless to say this was a great opportunity and step forward in anyone’s writing career. Whether you’re a beginner writer who can learn a great deal about craft from agents and speakers in the event, or a more advanced writer looking to get an agent or get published, any writer can benefit from a good writer’s conference. They didn’t just have classes on craft, from how to write a great mystery or YA story to how to revise, but they also had classes on self-publishing, what you need to know about agents, and how to build your platform. Obviously, every conference will offer different classes, but will usually provide talks on both how to improve your writing and how to get published. If you are a novice writer, focus on learning the craft of writing. What’s the point of publishing a story that isn’t ready yet? Agents only accept the best, so learn how to perfect your story first. Then worry about agents and publishers after. Pitching is another big part of writing conferences. This is great because you get the time and attention of an agent you’re not guaranteed through anonymous email. You only have ten minutes of their time so your pitch has to be concise as well as intriguing. I talk about pitching here. It is vital you research the agents before you sign up for your pitching sessions. And agents appreciate the research. I prefaced my pitches by saying why I wanted to pitch with them specifically and explained why they would be interested in my story based on what they had said they look for in a story in their bios and online. It definitely got their interest in my story. I pitched to 4 agents and got 3 partial requests for my manuscript. One lesson about pitching that Chuck said that stuck with me was that pitching offers have no expiration date. Yes, if you wait too long, the agent will probably forget talking to you specifically, but they will definitely say no to a manuscript that isn’t ready. Get your work perfected, then query. Just make sure to mention you met them and where. Conferences are a great opportunity, both towards getting published and as a learning opportunity. Plus it’s a chance to network with other writers. I definitely recommend going to one yourself. Read how to prepare for your first conference here. What are your experiences with conferences? Share below and happy pitching! Follow my blog at Our Write Side and Twitter for more writing tips and inspiration. Find me on Facebook for weekly prompts. On a good day, writing is all about passion and love, loving what we’re doing and loving our stories and characters. But that all dissipates when we’re depressed. Our drive and motivation vanish, everything seems horrible and cliché, and we begin to doubt we even know what an original thought is. We lose our strength and our will to push through the beak feelings we have. So how do we face our depression? Have a writing habit in place. 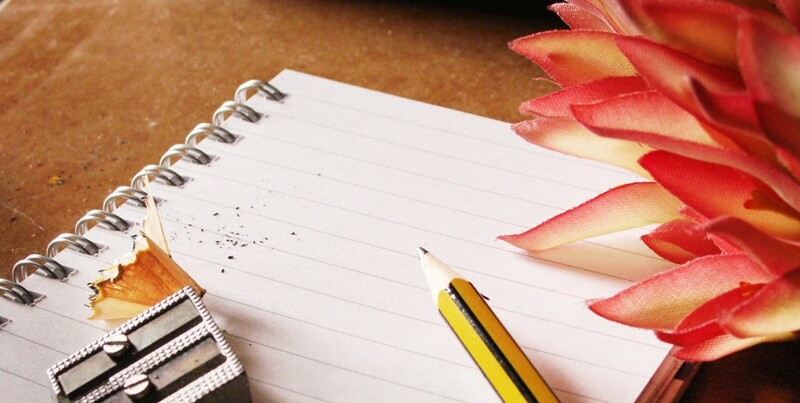 If you’re in the habit of writing, it will be easier to write through your low periods. Even if it’s just a page a day, accomplishing this task will make you feel productive and positive. It can even be a page of crap. Words can always be edited, but not if there are no words. Set realistic goals. Setting goals too high is just setting yourself up for failure. And failing to meet your goals will just make you feel worse about yourself and your abilities. But setting and making realistic goals will help you feel good and like a productive member of society. Set your goals when you wake up and evaluate how you did before you go to bed. Having a goal just might make the difference to actually finishing a task as well, so give it a shot. Don’t beat yourself up. Some days you just won’t be able to push through and accomplish difficult tasks and that’s okay. You should recognize things will be difficult for you and be kind to yourself. It’s so easy to give into self-loathing, but that’s the depression talking, not reality. Forgive yourself and give yourself grace. Work on easier tasks. Some things may just be difficult for you to tackle on a bad day. Allow yourself to set more complicated or onerous tasks aside for the moment and accomplish the ones you can handle that day. Listen to some upbeat music. Music really does affect our moods and while we might feel like indulging in some sad tunes, try listening to something that will give you energy and motivation instead. Avoid listening to tunes that bring up painful or sad emotions. Change things up. Try a change of scenery, maybe that new café you’ve been waiting to check out or a sunny spot at the park. A new location may inspire you or give you some energy. Reward yourself. Give yourself a little treat for accomplishing even the smallest things. Have a piece of your favorite candy or read a few pages of your favorite book. Reach out to others. We all hate asking for help, but even just sharing how we feel with someone else lessens our burden. Your friends and family love you, so allow them to support you on those awful days. Take care of yourself. Show yourself love and do the little things to take care of yourself. Eat regularly, make sure you’re hydrated, and make sure you’re getting enough sleep. These things will also help lift your mood so don’t ignore them. Remember why you write. You write for a reason so don’t let yourself forget why on those bad days. Remember why you love it and set goals to accomplish and a game plan for when you are feeling better. Take regular breaks. Schedule in times to rest between your work and follow through with them. Your mind will appreciates the breaks and you’ll be more productive in the long run. Read a book for fifteen minutes or go for a short walk. Then get back to work (even if it’s just trying to write). Allow yourself a day off. Some days you just know you can’t get any work done and that’s okay. Remember to be kind to yourself. Spend the day on self-care so the next day you’ll be able to do a little more. Channel your emotions. Use those powerful emotions in that tricky scene you’ve been putting off or to fuel that character to make them more realistic and relatable. Use these tips to help you get through those low days. Above all be kind to yourself and remember that these days will pass and get better. What are your tips for writing while depressed? Share below and happy writing. Follow my column at Our Write Side and my Twitter for more writing tips and inspiration. Find me on Facebook for weekly prompts.